The Gist: Obamacare updates with Phil Galewitz, and Catholics in congress. Are There Any Real Catholics in Congress? If Trump is calling Jeb Bush low energy, then the pope would be lucky to come in third in Iowa after that speech. 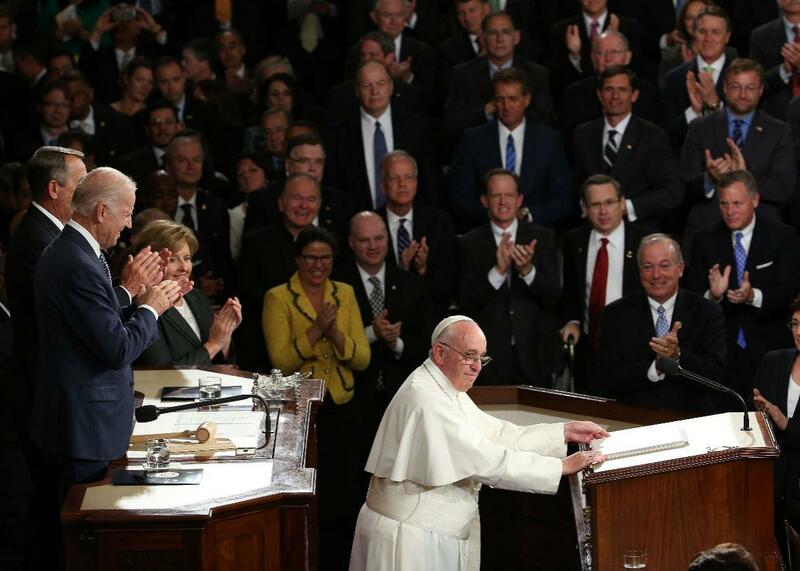 Pope Francis after his speech in a joint meeting of Congress on Sept. 24, 2015. On The Gist, we take the vitals on the current state of health care in America. The number of uninsured has dropped dramatically, but are the struggling state exchanges and co-ops a cause for concern? Phil Galewitz from Kaiser Health News joins us for an Obamacare checkup. For the Spiel, are any Catholic members of congress both anti-death penalty and anti-abortion? Today’s sponsor: ZipRecruiter. Hiring? You can post to more than 100 job sites with one single click, and have the highest chance of finding that perfect candidate. Try it for free at ZipRecruiter.com/gist.